If you’re one of those people who always forget/postpone or just can’t be bothered to buy a new diary at the beginning of the year and then. when you find yourself buying one later, you end up not using weeks (in the better scenario) or even months of the diary? As I’m looking at the statistics of my Etsy shop and see what people search for, I can still see a significant number of people searching and buying diaries 2017 and given it’s already mid May I wonder – does it not bother them that they won’t use almost half of it? I’ve been thinking about this ‘problem’ for some time now and I’m coming with a solution. 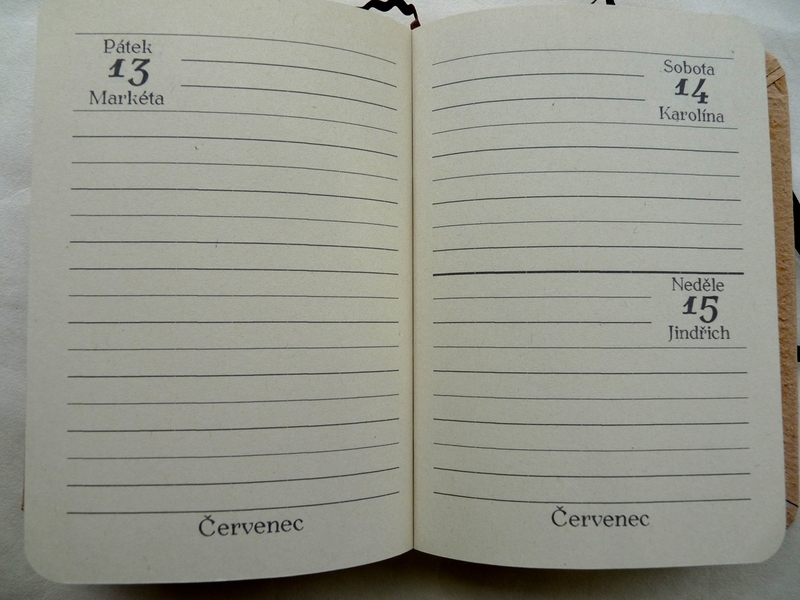 I developed a new product, new diary. I called it MeDiary, a wordplay of Me and Diary with a reference to the word mediary/mediator. 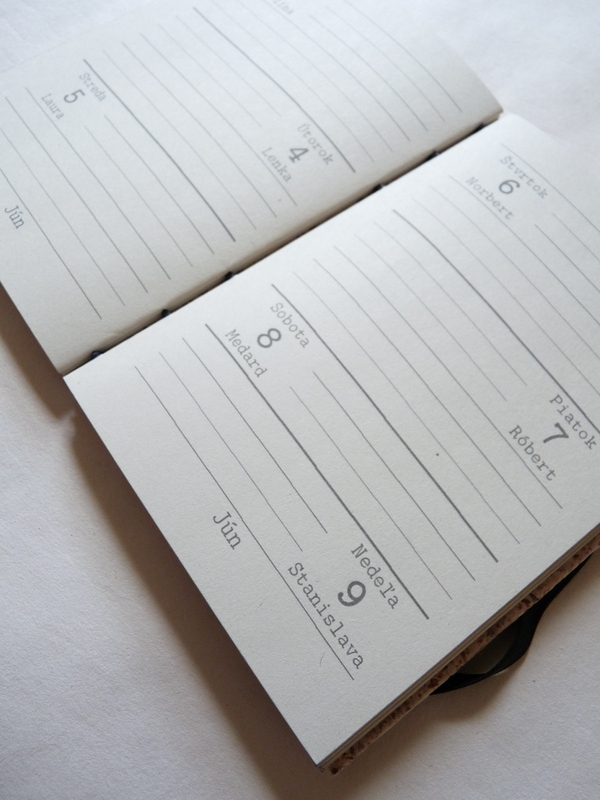 MeDiary is a rather minimalistic diary with nothing else but dates and plenty of space, but what makes it special is that you decide when it will start. In other words, you say when Your Year and so does Your Diary starts. 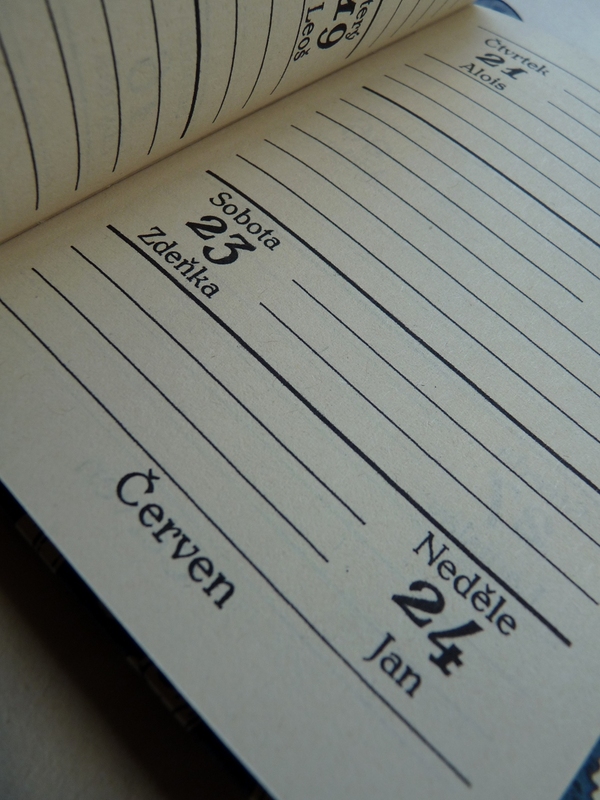 You can choose your Birthday, Anniversary, your favourite holiday or any other good day as a starting day* of your MeDiary. 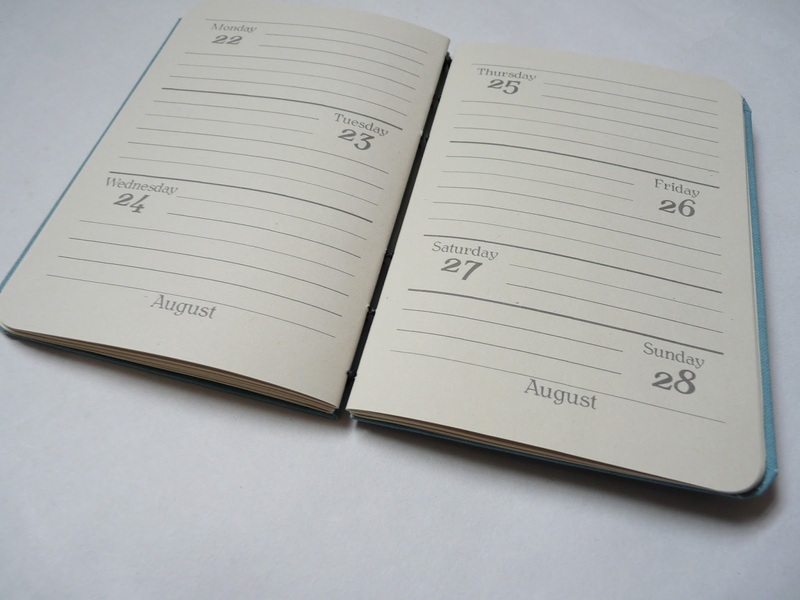 I’ll then generate and print a unique one year diary starting in one year and ending with this date in the subsequent year and bind your MeDiary in the design of your choice. 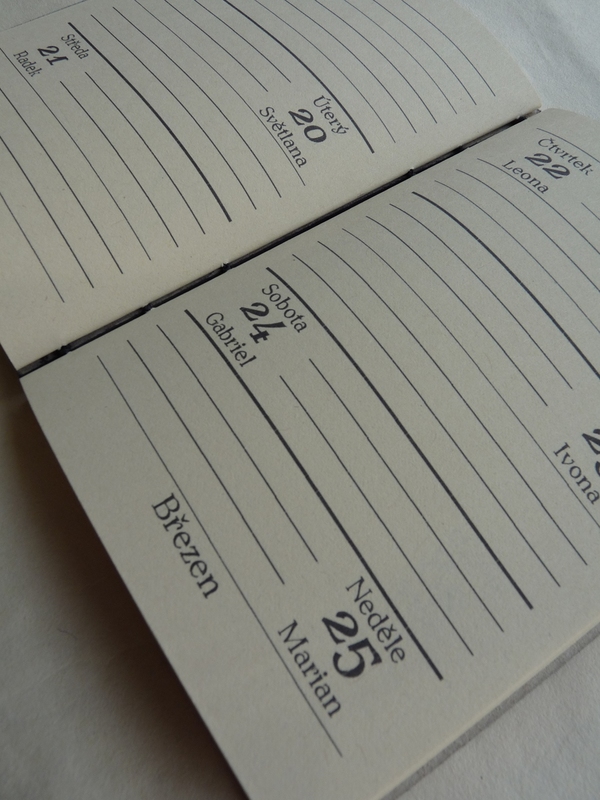 All the other variables I offer with my normal standard year diaries remain the same, i.e. 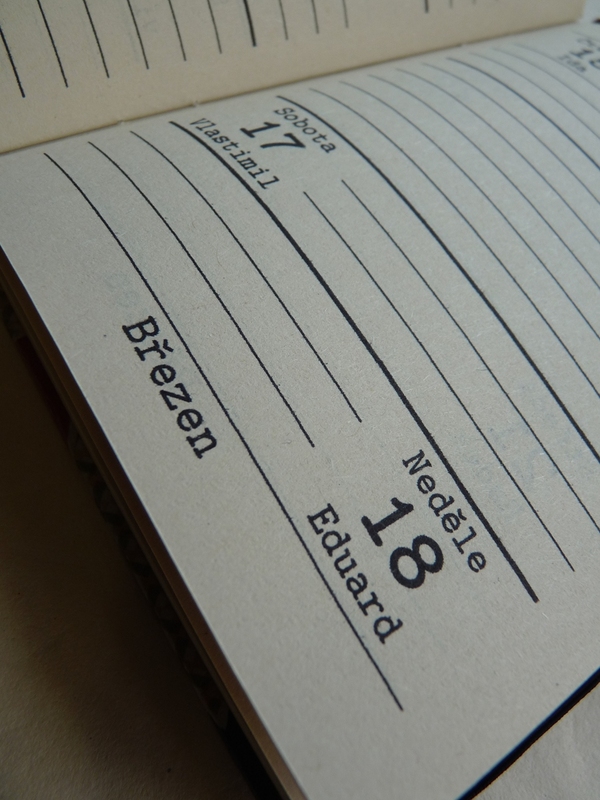 you can choose between Daily or Weekly version, in either A6 or A5 size, in English, Czech or Slovak language including English bank holidays for English version or name days for Czech and Slovak version. 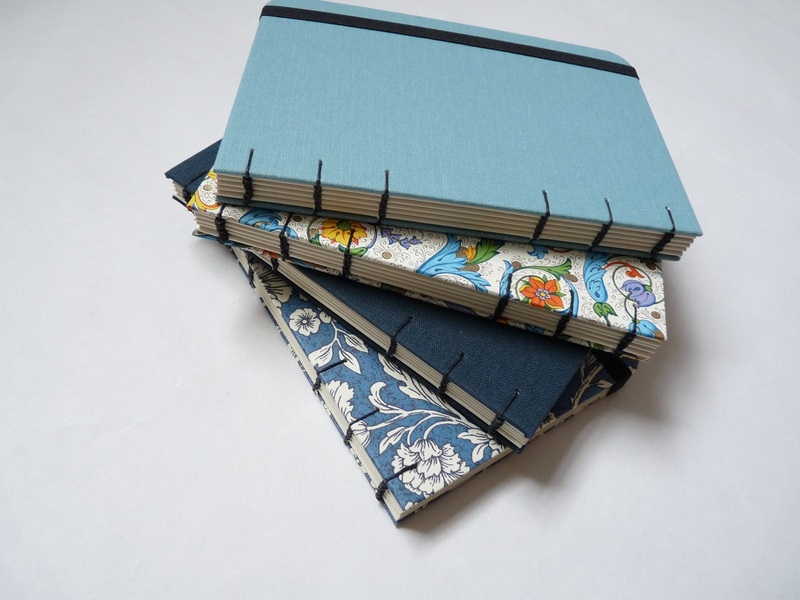 More about diaries in my older blog. Current choice of designs can be viewed in my Etsy shop. 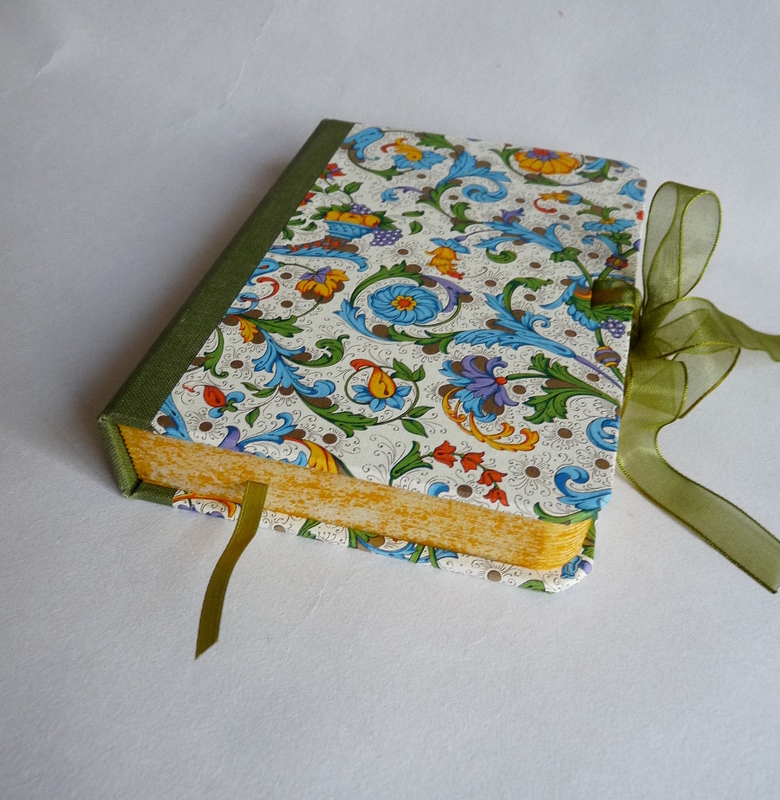 It has already become a tradition that every autumn I design and make bespoke diaries for my customers. And like every year you can choose several options and designs. 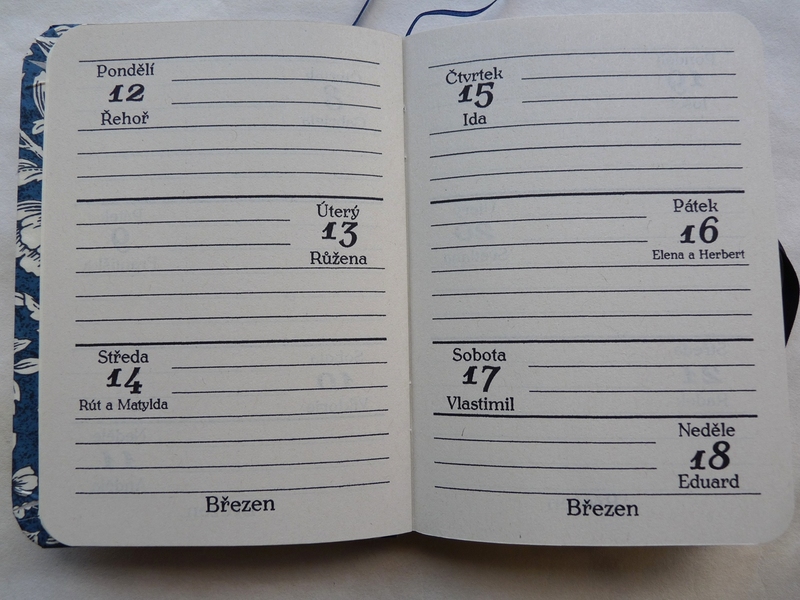 How can you design your own diary? – choose from dozens of designs or create your own with your own texts, pictures, etc. 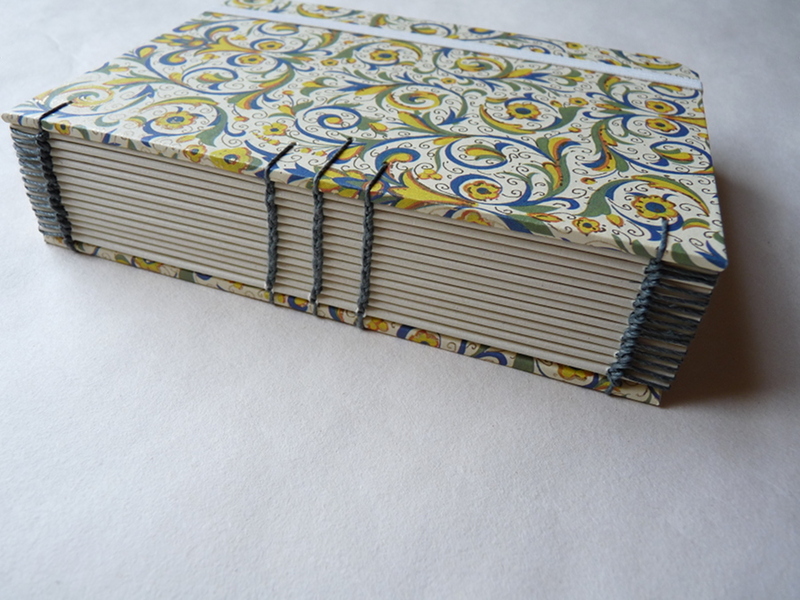 You may also want to have a look at some of the finished diaries. Have you decided? Have you got more questions?